Enjoy our 19th floor penthouse 2 bedroom, 2 bath oceanfront condo located in beautiful South Seas Resort (South Seas Northwest, Tower 4) offering magnificent views of Crescent Beach from the over sized balcony. The master bedroom has a king size bed, the guest bedroom 2 twin beds and a queen sofa sleeper w/ mattress pad in the living room. Both bedrooms and the living room have sliding doors leading to the over sized lanai and all have great views of Crescent Beach and the Gulf waters. The master bath is a full bath with a granite vanity top and a tiled shower. The guest bath is a full bath with a granite vanity top, a tiled shower and a tub. Note: The condo is equipped to sleep 6 people and there is a maximum occupancy of 7 people per unit per South Seas regulations. NOTE: 7 night minimum stay required by South Seas Condo Association. Our condo is newly furnished as of May, 2016 with all tiled floors (no carpet). Free wireless internet is available to our guests. The kitchen has granite counter tops and is equipped with stove, oven, refrigerator, microwave, dishes, pots, pans, utensils, coffee maker, and blender. The dining area seats 6 people. There are 3 flat screen televisions (master and guest bedrooms and living room), radio/DVD player, all linens and towels (kitchen, bath, and beach), beach chairs, cooler, beach umbrella, beach cart, and beach toys. The balcony has new furniture including dining chairs and table, comfortable conversation chairs for enjoying the amazing views and a lounger for a good book and nap. Our property is managed by a property manager who provides around the clock service to answer any questions or maintenance concerns should they arise. We look forward to sharing our Marco Island Condo with you for the vacation of your dreams. 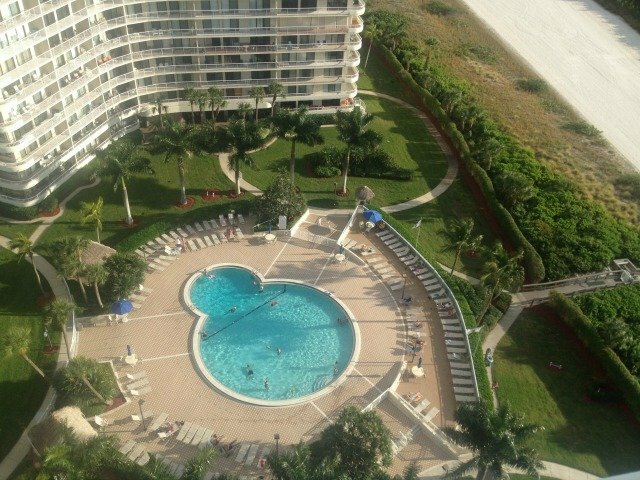 South Seas Resort is a 55 acre secure gated community located on the north end of Marco island. The resort property has heated pools, a fitness facility, covered parking, clay tennis courts, laundry facilities on each floor, and boat slips available to guests. There are casual and fine dining restaurants nearby, many offering on the water seating. 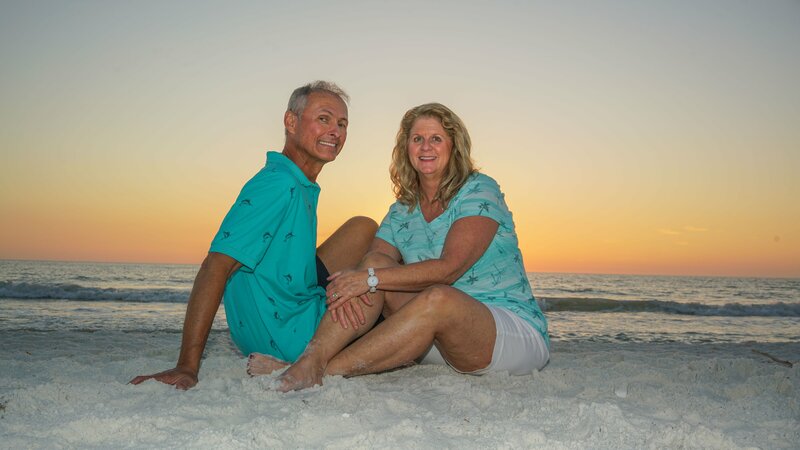 South Seas offers access to 2 beaches…Crescent Beach, with beautiful white sand perfect for a long walk or relaxing in a chair with a good book, and Tigertail Beach, which is great for shelling. Tigertail Beach also offers a cafe/picnic area and rentals of paddle boards, boogie boards, kayaks, beach tricycles, paddle boats, cabanas and chairs. There are places nearby that rent bikes, sail and motor boats, and jet skis. Parasailing, island tours, and fishing excursions are also available on the island and several golf courses are located close to South Seas. Downtown Naples is 18 miles away with great shopping, dining, and theater. The Everglades are a short drive from Marco Island for air boat and swamp buggy tours. The Key West Express offers day or overnight trips to Key West from Marco.